The Alivio Walk-in Wellness Center is located inside Alivio's Berwyn health center and provides treatment for common conditions and/or illnesses that are not life-threatening but demand quick attention. 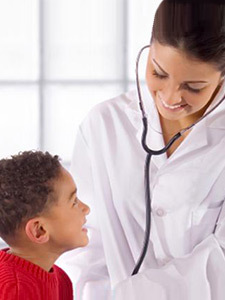 Patients who do not have a primary care provider can follow up with a provider at any of Alivio’s six health centers. Patients can also elect to make Alivio Medical Center their medical home. Experienced and compassionate bilingual staff and healthcare providers are ready to serve you. No appointment is necessary. The Alivio Walk-in Wellness Center inside its Berwyn health center accepts Medicaid, Medicare and many private health insurance plans. Alivio also offers a sliding scale fee program for patients without health insurance.